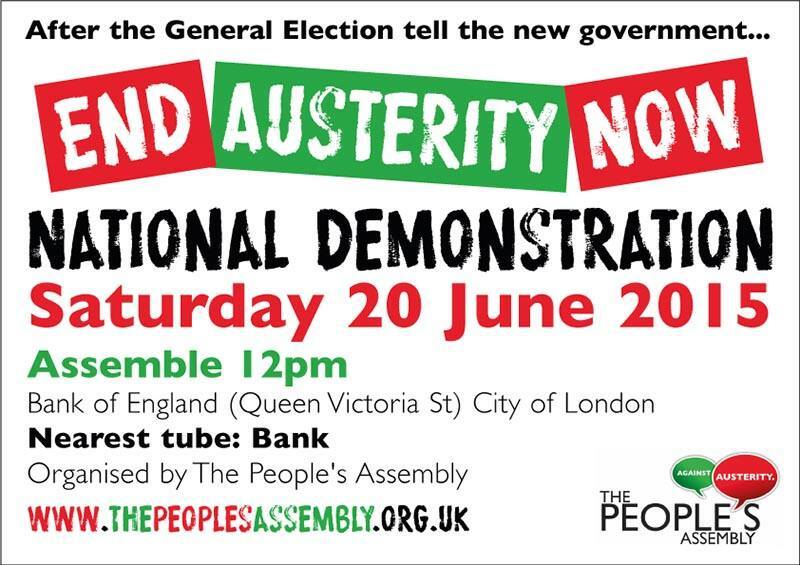 The People’s Assembly Against Austerity is calling a major national demonstration & festival on Saturday 20th June to send a clear message to the Tory government; we demand an alternative to austerity and to policies that only benefit those at the top. We’ll be assembling the demonstration in the heart of the City of London right on the doorstep of the very people who created the crisis in the first place, the banks and their friends in Westminster. We demand that the bankers and elite should pay for the crisis and not the vasty majority who had nothing to do with it. ← Anti-austerity demonstration in Gloucester on 30th May – End Austerity Now!